Esports, and other games : Saudah Bhaimia is awarded the Sportsmanship Award. MSSA President, Amanda Pakade, with Saudah Bhaimia (Curro Klerksdorp). The Dorian Love Award was started back in 1987 and was designed to reward players of exceptional sportsmanship. Only players who have received the Sportsmanship Award after a provincial championship are eligible to be considered for the Dorian Love Trophy. It is from those eligible players that the Selection Committee then selects the recipient of the Dorian Love Trophy from the players who have won the award at such championship level. Thus it is with delight that Mind Sports South Africa (MSSA), upon aproval of the Annual General Meeting (AGM) awards the Sponsorship Award to Saudah Bhaimia. Curro Klerksdorp is a school that focuses on the individual learner. Its learners are taught life skills and values such as effective communication, a great work ethic, responsibility, honesty, accountability and many more. The school strives to uphold it company values of child friendliness, positive discipline, a Christian ethos and values, and creative thinking. None better epitomizes Curro's ethos than Saudah Bhaimia. 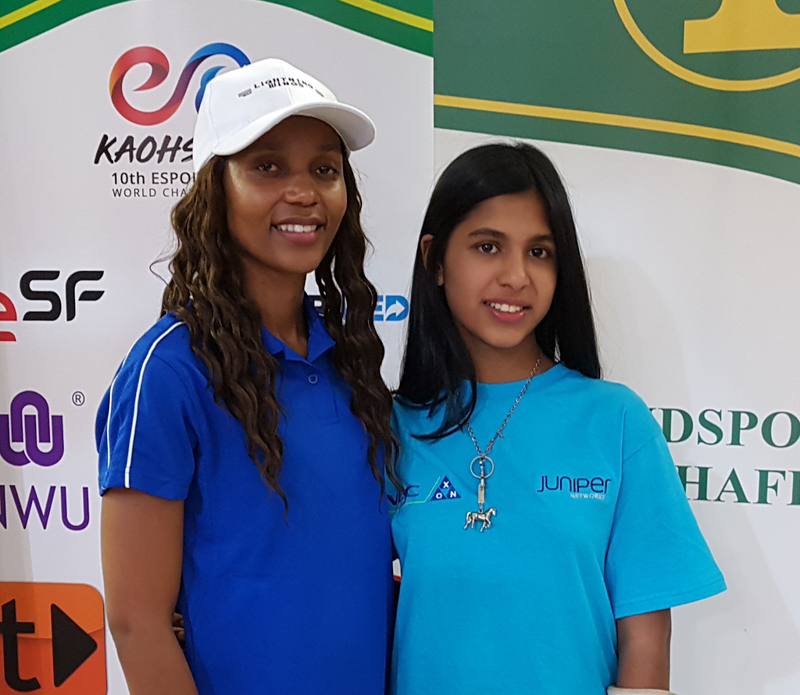 Ever helpful and friendly, Saudah Bhaimia shows the very best attributes of being a sportsperson, and despite being at the top of her game, Saudah always has time to assist other gamers.